Outstanding software doesn't just happen. To create software that works and keeps working, there are plenty of best practices that your team can implement and measure throughout the development process. In this webcast, experts from the Software Improvement Group (SIG) discuss the 10 best practices they've focused on in their years of experience as software quality consultants. They present how you can apply the "goal-question-metric" approach to guide you in measuring how those best practices are implemented and whether your quality control is on track. 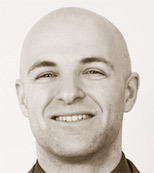 An all-round expert in software engineering and software quality, Zeeger Lubsen started as consultant with SIG in 2008. Having worked as a web developer during his MSc-study at Delft University of Technology he found great revelation in learning about how to build high-quality software. In his role as consultant he now helps both non-technical managers and development teams to understand and grasp software. He finds that developing software is a creative and cultural activity, but also one that needs clear and objective guardrails to achieve realistic goals. Sylvan Rigal has worked as a software quality consultant at SIG since 2011 and has advised clients on managing their IT since 2008. He helps clients achieve lower software maintenance costs and enhanced security by prioritizing improvements in software design and development processes. He holds a MSc in international business from Maastricht University, The Netherlands. As an active member of SIG's software security team, Sylvan trains consultants on analyzing software security risks. When he is not assessing the technical health of software, he is training in Brazilian jiu jitsu, enjoying Amsterdam's restaurants, or traveling through Asia. Approximately in that order. 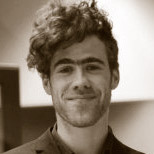 Gijs Wijnholds joined the Software Improvement Group in 2015 as a software quality consultant in public administration. He helps clients get in control of their software projects by advising them on development processes and translating technical risks into strategic decisions. Gijs holds a BSc in AI from Utrecht University and a MSc degree in Logic from the University of Amsterdam. He is an expert on Haskell and mathematical linguistics. 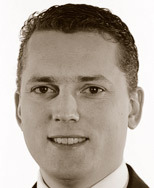 Gijs actively contributes to research in computational linguistics.